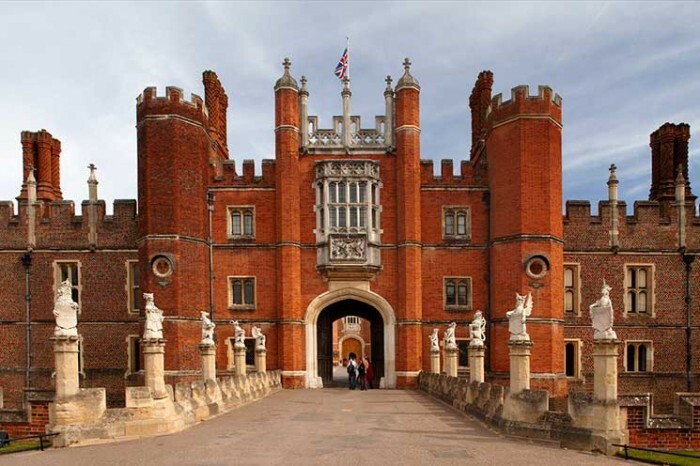 Opened to the public in February 2014, Hampton Court Palace’s royal chocolate making kitchen once catered for three Kings: William III, George I and George II – the only surviving royal chocolate kitchen in the country. Research uncovered the precise location of the royal chocolate kitchen in the Baroque Palace’s Fountain Court. Having been used as a storeroom for many years, it remained remarkably well preserved with many of the original fittings, including the stove, equipment and furniture still intact. The 18th-century Chocolate Kitchen was once the domain of Thomas Tosier, personal chocolatier to King George I, whose wife Grace was something of a celebrity in Georgian London, trading on her husband’s important role to promote her own renowned chocolate house in Greenwich. Tosier would not have had to roast or grind the cocoa but would have done the delicate flavouring and serving of the chocolate. A privileged and well-paying position, the chocolate maker even had their own bedroom within the palace. Visitors to the Palace are able to peer behind the scenes into the very rooms where Tosier and his staff prepared the special chocolate drink – the preserve of the rich and sophisticated – for the royal family’s most intimate dinners and entertainments.